Today, those who are taking part in Knitting and Crochet Blogging Week, must write about what we we aspire to learn or to do in either craft. Well, as I am new to knitting, there is so much I would love to learn. The stitch that I am most looking forward to doing, is cable. 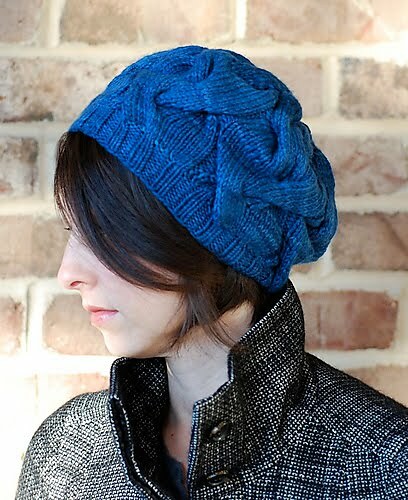 I just think it looks so beautiful, and when I learn I will able to make myself a knitting bag from Knitty Gritty: Knitting for the Absolute Beginner . Learning to cable opens many more doors than just bags. I can make beautiful fingerless gloves, such as Fetching by Cheryl Niameth, or a beautiful 16 cable hat by Circé Belles Boucles. I'm also learning how to Rib, which is also a great stitch, as it makes hats stretchier (which is very handy, especially for growing children!) 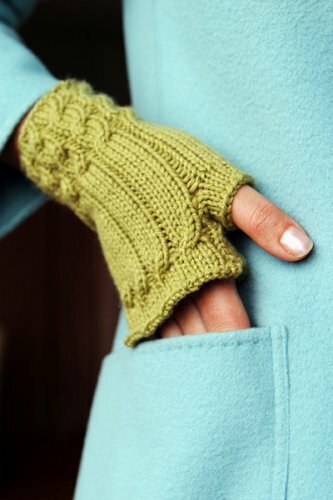 and is great for cardigan and jumper (sweater) sleeves. One item I aspire to making, is a shawl. My Nan has crocheted many, and after hearing her ramblings I am pretty scared of taking on such a big challenge. But I admire those who have tried and succeeded. Is there any particular knitted/crocheted item that you are too scared to try? Cables are great fun! I want to learn how to cable without a needle. Colourwork scares me! You've picked out some gorgeous patterns. 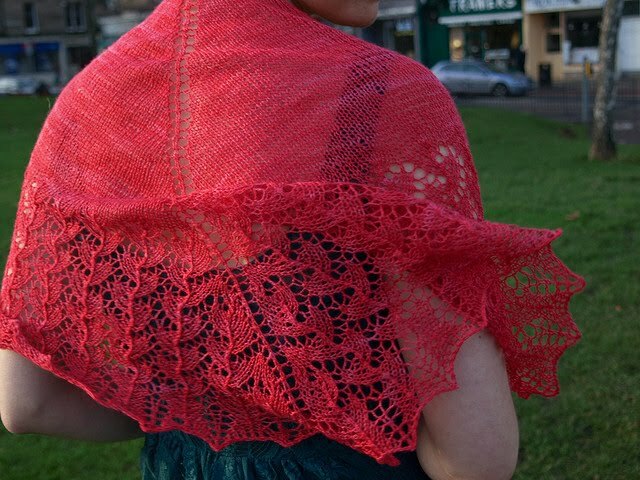 I think lacework scares me the most, followed very closely by anything that involves changing colours! You have terrific goals for the year. I only cabled once and they came out too tight. I'll need to try that again one day. I think sewing parts of a cardi together and intarsia scare me the most. Cables are fun and I just made my first lacy shawl. Just learn one new thing at a time and you'll soon have it all down.